The world is saturated with the normative discourse of rights. Rights-talk is to be found almost everywhere; in sugary political speeches, in legal texts, and in the pleas of those experiencing abuse and those advocating on their behalf. Complex societies become ever more fractured as enclosed language games provide a basis for professional progression and advancement of a field; as well as legal and political mobilisation. Our wordplay and our transnational networks co-exist with shameful levels of inequality, barbarism and brutality. We know it. We watch it happen. We keep talking about human rights. That modernity binds both sides together is old news; the 20th century demonstrated the capacity of humanity to reach remarkable heights, as we butchered each other along the way. Understanding the flawed humanity enthroned within human rights seems just as urgent as pressing hard on the potential normative force of personhood. The human within human rights contains all the wonderful, strange, sad, destructive and contradictory tendencies that make our short lives so intriguing. When we struggle for human rights we surely know this. No one wishes to inhabit a world of dull and cramped uniformity. For all the complexities it remains plausible to assert that although we arrive into a world not of our making, carrying all the inherited limitations of our species, we have it within each of us, and in solidarity with others, to resolve many of the problems we face. We know enough still to believe that collectively determined action in the world is possible. No human person alive today need live a less than fully human life. If she does, we – as a species – have made it so. How taunting then the surplus of norms must seem, how ripe for future condemnation we are? Why indulge in such lacerating critique? It is to make a simple point: a commitment to human rights is not ethically neutral, and this engaged perspective should be deployed against forms of legalism that risk suffocating the critical resources of the subject. To insist on human rights brings substantive political and legal consequences, and a basis for assessing practical action. The outcomes will depend on how rights are conceptualised, and there is no easy way to duck declared forms of commitment. It may not seem like it, but this is of relevance when thinking critically about the Bill of Rights discussions in the UK. First, the debate is not usefully considered in isolation from political context. Those who wish to know what a Bill of Rights worth that title looks like should be enlightened. But there is little value in pretending that those historically hostile to the aspirations of the global human rights movements have suddenly been converted to the cause. No amount of sunny verbiage about a British Bill of Rights can mask the grubbier political realities. A war against the ambitions of the global rights movement can be conducted within the discourse itself. Everyone believes in human rights now, but what sort of rights culture do you hold to? A constant effort is required to ensure a justifiable conception is promoted and defended. These are interpretative battles with worldly consequences. Second, from a critical human rights perspective let’s be provocative: worship of one piece of legislation (the Human Rights Act 1998) does not seem that persuasive either. Whether a ‘constitutional measure’ or not it is still a grounded form of law. The literature is impressive. The Act continues to have a positive impact, often in situations that do not make headlines. Empirical work is ongoing. Whatever the evidence suggests, the worry is that lines are now drawn; on occasion in contrast to what that evidence demonstrates. The constitutional significance of the Act will always confront its direct political heritage. Churchill can be cited as a reminder of the Convention’s origins. The ‘Britishness’ of the law can be defended and rehearsed ad nauseam. The historic cross-party noises in support of bills of rights can be dusted off. But this will, to many people, always be a New Labour legacy (either positively or negatively depending on your party politics). A contextual assessment of the Human Rights Act 1998 cannot dodge the long-term strategic question of whether this is the end for rights in the UK, and should not sidestep the political realities of its achievement. Third, the voices that historically propel the human rights movement forward are prone to be rendered invisible by forms of narrow legalism. Hope is often invested in the promise of closure that a significant legal judgment can bring. The notion of the last word in bounded time feeds a worldly desire for decisions that is effectively absorbed into the concept of the rule of law. The idea that we might well be in a conversation without end – even over the contested meaning of established norms – can cause either despair or offer a spur to action. As political constructs erect hierarchies of interpretation to limit the damage, the discourse of human rights imports a tension that cannot be removed; the door will continue to remain slightly ajar. To talk of who has the last word in historical time is rendered meaningless within such a conception of political and legal life. There will be moments of decision, but there will be a going on with human rights as a path that seeks to always comprehend the person first over all and every human construct. Finally, new constitutional configurations are emerging across these islands. There will be those who seek to instil fearfulness around these trends. From a rights perspective the challenges and opportunities can be embraced. The potential is there for a dialogue among equals to open up public space for a less defensive engagement on how we might promote and protect human rights, and thus show leadership in our age of anxiety and hope. The outcomes are not pre-determined; those who sow seeds of mistrust can also prosper. It is thus necessary to be open to post-devolutionary experiments in rights protection. The risk is that human rights are submerged in an insecure wave of political unionism. The creativity and energy of the human rights movement should not be undermined even by notionally progressive forms of political and legal unionism in the UK. Such an approach would bury a global movement in the rubble of a partial and frequently distorted ‘national/nationalist’ conversation. These may all be irrelevant reflections, a distraction. The purpose here is just to pause to consider why we engage with human rights. Setting aside the often bewildering nature of personal motivations (that human again in human rights), we must do this work at some level because we feel profoundly uncomfortable with the world we are in, and thus wish to change it – in the time we have – using whatever forms available: political, cultural, social, economic, and even legal. The risk, it seems to me, is to mistake the contested tools for the contested objectives, and thus forget the ethical imperatives silently pressing us on. That we are re-enacting the arguments of centuries is no reason for despair or retreat. All those who suffer now, and those silenced brutally in historical time, provide all the foundations necessary to keep going on. To keep talking about the best conceptions of human rights, and insisting on practical realisation. It is difficult to comprehend exactly what central point the author of this piece is trying to make in this piece, but one would be forgiven for harbouring the suspicion that it may be an example of trying to disguise increasingly threadbare arguments in a rich sauce of high-flown phrases and platitutes. 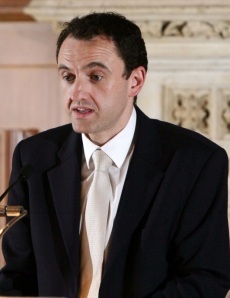 To speak, as the author does, of the “worship” of the Human Rights Act 1998 is clearly a baseless canard: at the time many commentators believed that the Act itself would not give the UK public many more rights than were already contained in exisiting legislation, at it unlikely that a UK Bill of Rights would do much more. It is clear to any discerning observer that a British Bill of Rights is simply not a priority of any major political party (although they will make noises about it from time to time), and this is likely to be the case for the forseeable future. No Bill of Rights would be likely to provide a single job for anyone not connected with the human rights “industry”, and neither would it be likely to raise one sigle UK citizen out of poverty. No politician or academic has ever been able to argue otherwise. It is clear that, even in Northern Ireland, where the HR “industry” was at its most powerful, the tide is going out: the Attorney-General himself, John Larkin, has expressed disquiet about what he calls the “idolisation” of human rights in a society which is already deeply divided. Again, no human rights lawyer has ever been able to explain adequately how a Bill of Rights would ever truly help heal the wounds of division or segregation in Northern Ireland, or how it would improve the lives of both communities. So why do people such as the author continue essentially to “flog a dead horse”? The main nationalist parties in NI, the SDLP and Sinn Fein also still weakly call for a Bill of Rights from time to time. Looking at it cynically, one reason may be that (as he has stated himself in other articles on this site) he was involved with the Northern Ireland Human Rights Commission, formerly chaired by Professor Monica Mc Williams, which, after almost 10 years of deliberation (and large sums of public money spent), produced a Report in December 2008. This Report, which recommended a Bill of Rights for Nothern Ireland, was rejected lock, stock, and barrel by the then Labour Government, the Conservative Opposition, and Unionist politicians, all of whose support was needed if there was to be the remotest chance of the Bill coming to fruition. Even the supposedly neutral Alliance Party voiced concerns over the proposals. Why was the Report rejected? In short, because the Commission vastly exceeded the remit of what could reasonably be expected of such a body, aiming to justicialise a variety of social and economic rights which rightly belong within the realm of politics. It appeared to smack of the belief that by attaching the label of “right” to any particular social need, the judiciary could provide this by application of the “Bill of Rights.” At worst, this approach was downright disingenuous, at best, any such Bill would have been no more than a litigators charter. No explanation was ever given by the Northern Ireland Human Rights Commission to the public as to why so much public money was spent on a project which in the end bore so little result. What it was treated to was a feast of self-righteous indignation by people such as Professor Monica McWilliams, who seemed to believe that the Commission had been let down or betrayed in some way, rather than the Commission itself ecxceeding its remit. That was her approach. The approach of others has been to channel their efforts into pushing for a UK wide Bill of Rights, or changes in the Irish Constitution, since their original vanity project of a Bill of Rights in Northern Ireland has been blown out of the water. One phrase used above was “conversation without end”: could it be that the author and people like wish for “conversation without end” in order to justify their existence, positions, and egos? It is surely a question worth asking, at least. This entry was posted on March 13, 2012 by Constitutional Law Group in Constitutional reform, Human rights and tagged Constitutional Theory, Human Rights Act, Human Rights Act Reform.